First, Article III, Section 14 of the state constitution requires that all bills under consideration be held for three days before any vote. The only exception is when the governor certifies specific facts that require the legislature to act immediately. In the case of the Marriage Equality Act, Governor Cuomo did certify such facts, but the judge called that certification plainly "disingenuous." The plaintiffs argued that the the Governor's reasons — that continued discrimination against gay couples mandates immediate action — is illogical, especially given that gays have been excluded from the institution of marriage for hundreds of years already. Second, Article III, Section 10 of the state constitution requires that legislative sessions be kept open to the public unless deliberations require secrecy for the benefit of the public welfare. The lawsuit argues that secret negotiations with Republicans, a closed chamber, and other secret meetings aimed at getting the law passed violated this open meeting requirement. The arguments' merits were not discussed in this decision. In fact, the judge belied his occasional sarcastic and sharp distaste for Albany's shenanigans by suggesting that his hands are tied to accept the Governor's supposedly "disingenuous" certification and by dismissing Attorney General Eric Schneiderman from the case entirely. At issue at this stage was the State's motion to dismiss, in which the State argued that the Governor's certification of immediacy and the fact that the full legislative chamber was indeed open to the public mean that there are neither issues of fact or law to be discussed further. The judge disagreed. He said he did not have enough information to decide the case in either party's favor, so he allowed the case to continue to the discovery phase. Letting this lawsuit proceed is not a step back, but a slight detour. It is — and should be — hard to win a motion to dismiss. For a court to dismiss a lawsuit at this early stage is to declare that there is absolutely no issue to discuss. A judge has to take the facts alleged in the plaintiff's complaint as true, even if they are complete and utter lies, and decide if there is even a small issue to discuss further. But regardless of discovery and any further arguments, it is hard to imagine this lawsuit going anywhere. State law is explicitly clear that the Governor's certification of immediacy must list facts that require tossing the three day waiting period, but there are no restrictions on that certification. Courts have interpreted a specificity requirement and a good faith requirement, but the judge's view that continued anti-gay discrimination could not be sufficient is a simple disagreement of policy, not a basis on which to challenge the Governor's good faith. The essence of judging is to not replace legislative policy preferences with your own, so the judge will be hamstrung to do anything but accept the Governor's call for waiving the three day delay. As for the second argument, some meetings were indeed private. But, the open meetings law does not explicitly require that every meeting of more than one person be open to every Joe, Tim, and Sally who's interested. Nor is it meant to uproot the entire legislative process. To invalidate one law on the grounds that some people conducted some closed door meetings would set a dangerous precedent that could invalidate nearly every law Albany passes, including every budget since the 1950s, the law that sent computer money to certain public schools, and the law that named a state building after the Rev. Diaz. 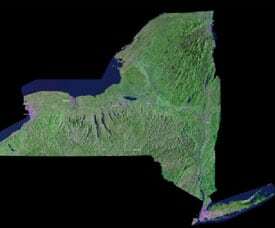 Attacking Albany is a favorite New York political ploy. 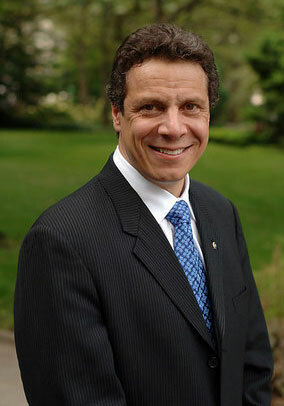 Albany is "broken," "deadlocked," "dominated by elitists," "corrupt," "hopeless," and so on. Before the highly effective and moderate Governor Cuomo, Albany was a bastion of smoke-filled rooms and partisan bickering. So, attacking gay equality through the Albany lens is a good tactic. And, yet, it is a desperate one. The plaintiffs in this case are barely hiding their anti-gay rhetoric behind passionate sanctimony about the importance of public access to the legislative process, and they marshall arguments that have no hope of succeeding lest we overturn every New York State law since Andrew Cuomo was a baby. That is not going to happen.